The Washington Nationals have been playing great this year. Surprising many, but the excitement has just begun. 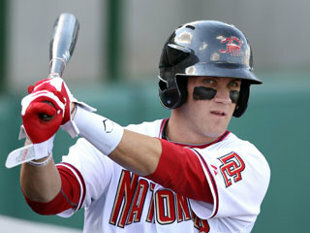 On Friday the Nationals called up their 19 year old phenom Bryce Harper from Triple A Syracuse. He was called up when Ryan Zimmerman was placed on the DL this week. Harper is set to make his MLB debut on Saturday when he will be placed in the line up for in a game against the Dodgers in Los Angeles. Harper’s debut on Saturday is the most anticipated debut of any player since Ken Griffey Jr. in 1989. 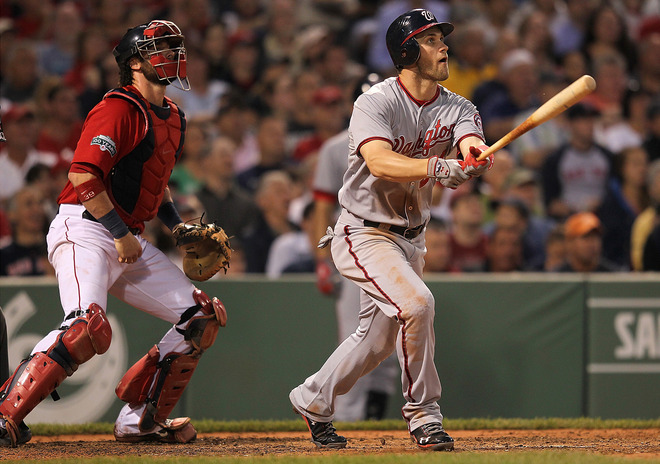 Harper was thrust into the national spotlight in May of 2009 when he was on the cover of Sports Illustrated magazine. He was touted as being the next big thing in baseball, and possibly one of the best baseball players ever. Later the year he left high school at 16 years old to obtain his GED in time for the 2010 June Draft. He had a short stint at a junior college before the Nationals selected him 1st overall in the June Draft. Harper has everything one needs to be a great player. He also has all of the hype as well. Although some have questioned his maturity during his time in the minors. He has been called “spoiled”, and been said to have acted arrogant on a number of occasions. This is nothing new for the sports world. There have been many sports stars with bad reputations that have flourished to become hall of fame players. I feel he will grow up a lot in the big leagues and will mature very quickly. While he has played well in the minors he has usually needed time to get settled in at each level. This may be no different as the jump from Triple A to the majors is a big one. I think even if he does struggle in the beginning he will ultimately turn out to be an incredible player at the big league level. The Nationals want to win and they want to do it now. That is why they feel this call up is the right decision. I totally agree with them bringing him up and putting him in the line up. Saturday is going to be a big night for Harper and the Nationals, who finally get to reap the benefits of this highly touted and paid phenom.